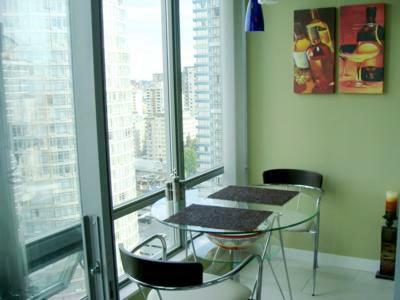 Welcome to your home away from home in the heart of downtown Vancouver. 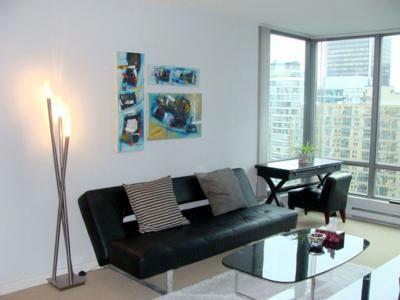 This beautiful, 2 bedroom, 2 complete bathroom cozy unit is conveniently located in the most desirable part of Vancouver, only one block from the upscale shopping district, Robson Street, and 5 minutes walk to Stanley Park. 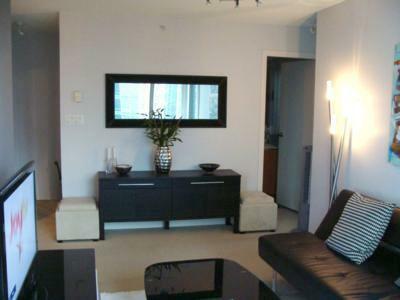 You are less than 15 minutes walk from General Motors Place hockey arena, B.C. Place Stadium which is the home of the Olympics opening ceremony, and a 5 minutes ride to the Olympic village. You can enjoy a fun day of skiing/snowboarding at the Grouse Mountain slopes in North Vancouver, located only 20 minutes away by car. 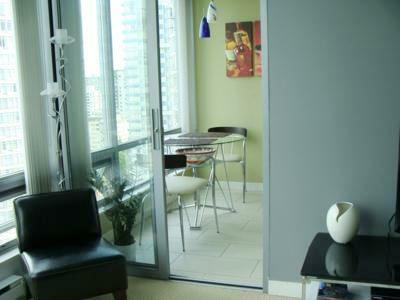 The closest SkyTrain station is within 5 minutes walking distance. 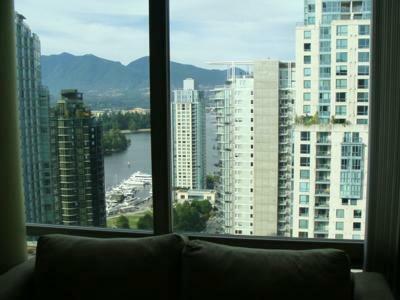 Your place on the 22nd floor provides you with stunning views of the water and the North Shore Mountains. 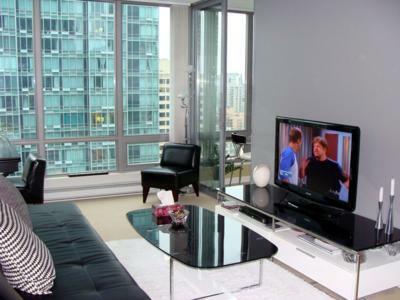 The fully equipped and furnished unit comes with a 40 inch flat-screen TV, wireless Internet, DVD player and en-suite laundry washer and dryer. 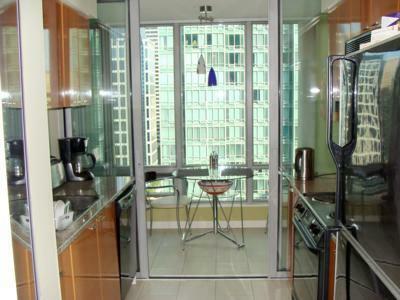 The kitchen features microwave, toaster, toaster oven, stove, oven, fridge with freezer, electric kettle, coffee maker and a dishwasher. 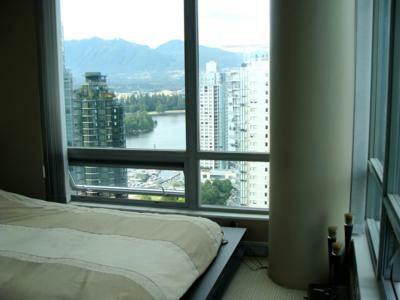 Both bedrooms have beautiful water and mountain views. 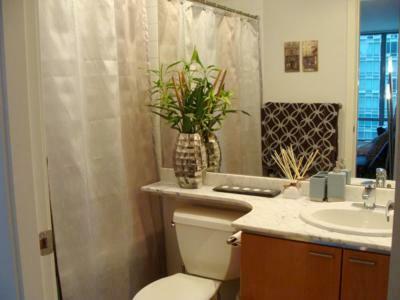 The master bedroom comes with an en-suit bathroom and a stylish queen bed. 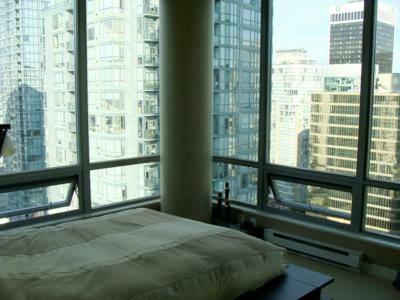 The second bedroom has a comfortable sofa bed. The modern leather couch in the living room can also be turned into a bed that can sleep one person comfortably. 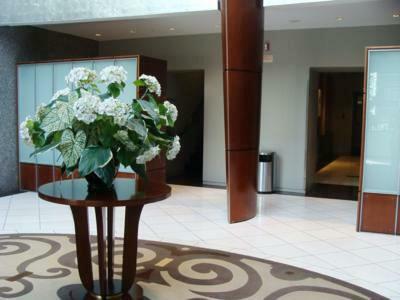 The building is conveniently accessed from two lobbies by electronic FOB. 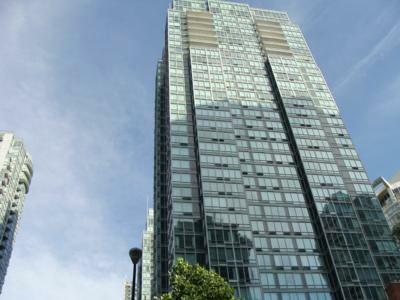 It offers 24 hours concierge and security. 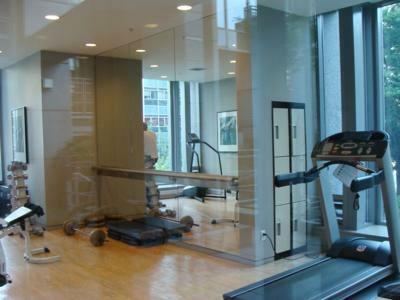 You can also take advantage of the buildings fitness facility. Grocery stores and liquor stores are located one block away. With a vast variety of options for both upscale and casual dining, at this location the world cuisine is at your fingertips. Sleeps 1 additional guest on a sofa bed in living room.